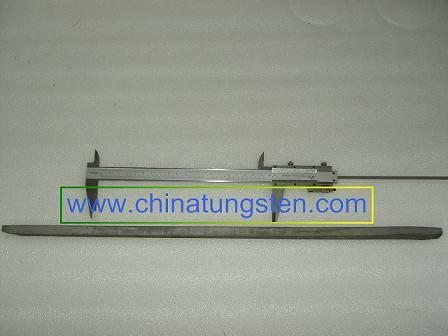 We have three types of tungsten bar, including: pure tungsten bar, tungsten heavy alloy bar, tungsten carbide bar. Pure tungsten bar: includes tungsten rod, tungsten steel bar, tungsten rod, tungsten sintered bars and more, which is mainly used to found ingredient of material, cutter and heads, tungsten wire for lights instruments, electric contact points and conductor of heat, crankshaft and cylinder barrel of advanced automobile, ingredient of kinds of heat-resistant steel. Tungsten bar with impurities is used to produce bulb filaments or electron tube filaments, which are guaranteed to have remarkable resistance to high temperature. Pure tungsten is a naturally occurring metal mined from the earth. In this raw form, pure tungsten can be very brittle. 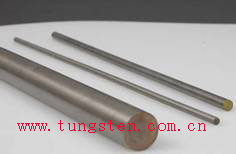 Tungsten heavy alloy bar is produced by pressing and sintering into billets, which are worked by rolling or swaging into rod. Smaller sizes are produced by subsequent drawing. Tungsten heavy alloy bar is produced in straight random lengths with a smooth swaged surface at diameters 3mm and larger, and with a smooth drawn finish below 3mm. A centerless-ground finish can also be furnished. Specific lengths and special fabrications can be supplied upon request. 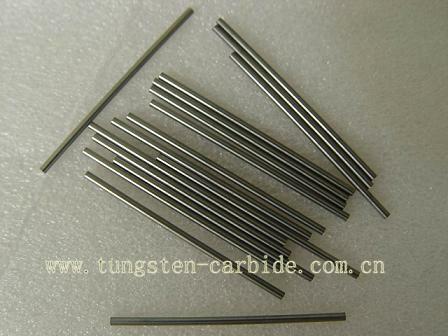 Tungsten carbide bar is an inorganic chemical compound containing equal parts of tungsten and carbon atoms. Tungsten carbide bars widely known as one kind of carbide cutting tools, it’s available for different grinding geometric parameters and suitable for both cutting materials and nonmetal materials, also it can be applied to conventional,carbide inserts, semi-automatic lathe, automatic lathe and planning machine to work grooves and operate cutting, etc. If you have any interest in tungsten bar, please feel free to contact us by email: sales@chinatungsten.com sales@chinatungsten.com or by telephone:86 592 5129696.